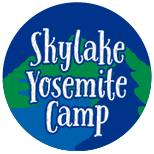 Whether you are a parent of a current Skylake camper or still deciding where to send your child to camp this summer, we want you to know that we consider the care of your child to be an “awesome responsibility.” Our highest priority is the emotional and physical safety of your child. The complete Parents Handbook is provided for you to either read on line or to print out. The answers to almost every imaginable question you may have in respect to the day to day operation of camp is contained in this booklet. Please take the time to read it carefully and to be sure to call us if you have any questions. Families of enrolled campers will receive a hard copy of the most up to date Parents Handbook in March or following enrollment if after the month of March. The Express Parent’s Log-In provides you the quickest way to access your camper's account after you have enrolled. This Parent's Log-In gives you the ability to update and complete all of the registration forms, send emails to your campers when they are at camp, and to view camp photos and news during the summer. The necessary health forms are available in your "Camp In Touch Account" which is accessed at the Express Parent’s Log-In. It is critical that you provide us with the most thorough answers to the questions on these forms.